Release Political prisoners of Jammu & Kashmir from jails. Campaign launched by Muslim Deeni Mahaz in Srinagar. New Delhi: Indian occupied Jammu and Kashmir authorities must prohibit the use of pellet-firing shotguns in policing demonstrations, as they are inherently inaccurate and indiscriminate, Amnesty International in a press release said today here. Police in the state have used pellet shotguns for a number of years. Several cases have been reported of people suffering serious injuries, particularly eye injuries, as a result. Recently, on 21 May 2015, 16-year-old Hamid Nazir Bhat was shot by police firing a pellet gun in Palhalan, Jammu and Kashmir. He lost vision in one eye. “In policing protests, the police must also distinguish between persons engaging in violence and peaceful demonstrators or bystanders. Any force used should be only against those acting violently, and the police should always ensure that uninvolved persons are protected from injury. Pellet firing shot guns fire a large number of small pellets spreading over a wide range. Sources in the Jammu and Kashmir state police told Amnesty International India that the pellet gun cartridges most commonly used in the state contain 400-500 plastic pellets, resembling ball bearings. Javaid Gillani, the Inspector General of the Jammu and Kashmir police, told Amnesty International India that the state police are instructed to use pellet guns only when protests go out of control. “There is a standard operating procedure that is followed in such situations, and police fire the pellet guns from a safe distance”, he said. However the Inspector General acknowledged that the pellets, when fired, do not have a predictable trajectory. 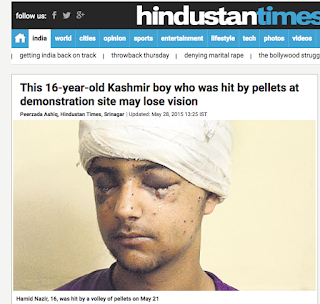 Sajad Khanday, a doctor at the department of ophthalmology at Government Medical College, Srinagar told Amnesty International India that he had come across several cases of serious pellet injuries in the past few years. “The pellets can cause blindness and disfigurement of the eyes”, he said. “The use of pellet guns is not in line with international standards on the use of force. The objectives of the police should be achieved in a less harmful way with other devices which can be more accurately aimed, and where the risk of harm can be better controlled,” said Shemeer Babu. Neelum valley is the name given to the areas surrounding the Neelum River. 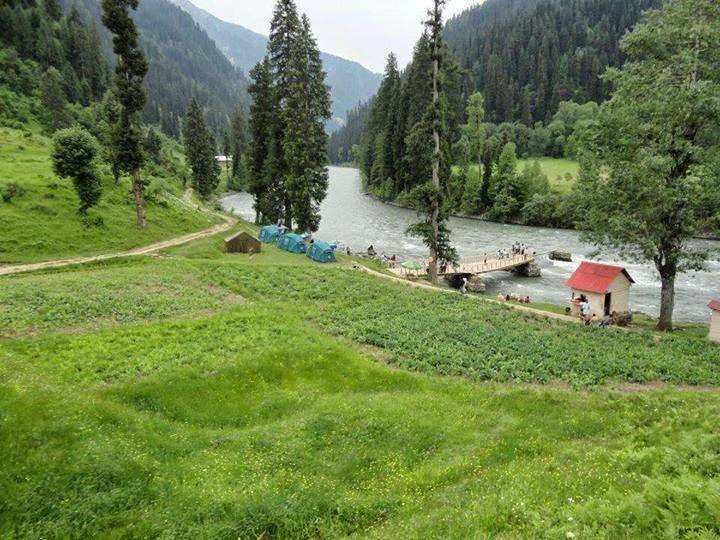 The word Neelum means "Blue" and the name certainly holds true for the bluish green Neelum river. 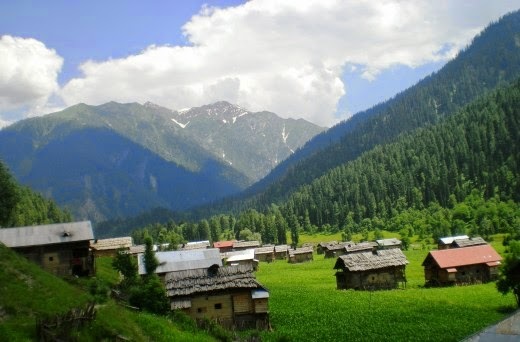 The valley is known to relatively few people, even in Pakistan, and due to its isolation and most of all lack of proper infrastructure it is free of mass tourism, pollution and globalization (although many houses now do sport satellite T.Vs) and hence sometimes referred to as " Virgin" beauty. 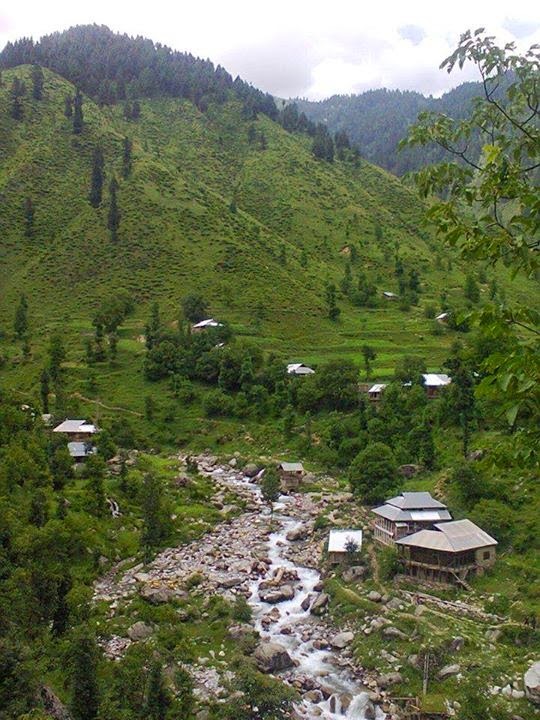 The 200 km long valley boasts of lush green mountains, beautiful glacial streams, a roaring blue river and fruit trees. All this beauty is enhanced further by the local wooden huts built in traditional manner, terraced fields, fresh and crisp mountain air, friendly hospitable people and above all an absolute lack of urban lifestyle. My tour of the scenic and beautiful valley was arranged by a local friend and in the entire trip we only stayed in one hotel and the rest of days were spent in houses of my friend's many relatives who were spread throughout the valley. BioCentra LLC - a Georgetown, Texas USA-based Biotechnology company was founded in 2008 by a Kashmir-born entrepreneur, innovator and a creative scientist, Dr. Javid Wani, Ph.D.
Washington: Around 200 million individuals (2.5% of the world’s population) suffer from chronic HCV infection globally. Current annual market opportunity for big pharmaceuticals for this test alone is US $30 billion. Quantitative HCV testing is a gold standard for HCV diagnosis. Treatment decisions are made upon initial testing and continued testing is required for observing the drug response. In developing nations, where patients have to bear healthcare costs from out of pocket, a single quantitative HCV RNA test costs anywhere from $%60-100 to the patient, with a need to test 4-5 times during the course of the treatment for monitoring the drug response, thereby, making cost a barrier for wider use. Testing procedures available with a qualitative characteristic based on the patient serotyping and HCV antibody presence in patient blood have been readily available for decades and are relatively cheap. However, after testing positive for an antibody test, the patient needs a quantitative testing of the HCV viral load to determine the exact dosage or duration of the treatment. 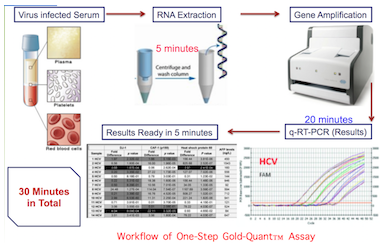 Currently available methods and products for quantitative real time detection of HCV are expensive, complex and time-consuming. Newly FDA approved treatments are driving increased demand for viral load testing. Diagnostics labs desire simpler, affordable, and faster alternatives that are potentially being promised by BioCentra through its platform independent test kit - GoldQuant™ that is expected to be more than 50% cheaper and will be 20 times much faster than the existing HCV testing platforms from big technology companies. - Hepatitis C molecular diagnostics is overwhelmed with mechanistic complexity, lengthy testing periods, high regulatory stakes and unaffordable cost for patients without a private health insurance. - Innovation in molecular diagnostics of infectious diseases, cancer, metabolic and psychiatric diseases has been tremendous in the past decade. Things have changed less particularly for HCV diagnostics. - GoldQuant™ - a One-Step Viral Load Assay Kit is expected to be a “Game-Changing” device that will provide a simple, fast and affordable solution to over 2.5% of the world’s population suffering from acute HCV infection, mostly from the developing world. - BioCentra is also engaged in groundbreaking research in cancer drug development, vaccine design and molecular diagnostics for other viral diseases. - World-renowned Liver Disease Specialists, Gastroenterologists and Hepatitis Researchers like Prof. M.S. Khuroo from Kashmir, Prof. Robert Gish from Stanford University and Prof. Hassan Azzazy from American University of Cairo are serving on BioCentra, Board of Directors. - JP Morgan Chase, a leading global financial services firm is keen in helping local businesses and promising technology development companies like BioCentra not only with banking services, but also with non-dilutive funding. - A $100,000 cash grant by Chase could contribute toward the clinical development of BioCentra’s HCV device, which means a step forward to its availability in the emerging markets. It is an opportunity for the supporters worldwide to vote through Facebook and help BioCentra achieve its fundraising goals for the clinical development of this product. BioCentra, a Georgetown, Texas USA-based Biotechnology company was founded in 2008 by a Kashmir-born entrepreneur, innovator and a creative scientist, Dr. Javid Wani, Ph.D. BioCentra is engaged in developing low-cost, simpler and rapid molecular diagnostic tools that are becoming increasingly essential in delivering personalized care therapies to the patients with diseases ranging from viral and bacterial infections to cancer and metabolic diseases worldwide. Dr. Wani and his team has made significant contribution toward the development of a fast and affordable technology with global implications in the molecular diagnosis of Hepatitis C infection. 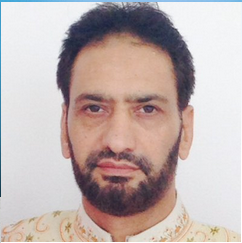 Dr. Wani completed his Master’s degree from the University of Kashmir and received training in Genetic Engineering and Biotechnology from Jawaharlal Nehru University, New Delhi, Center for DNA Fingerprinting and Diagnostics, Hyderabad and Institute for Human Genetics, Nuherberg, Germany before pursuing his doctoral studies. He completed his Ph.D. in 2005 from the Ludwig Maximillians University, Munich, Germany and Postdoctoral Research Fellowship from the University of Texas Health Sciences Center (UTHSCSA), San Antonio. While working as a Product Development Scientist in a Texas-based Biotechnology Company, Dr. Wani founded a HealthCare Services and Information Technology Company, called Ebaada HealthCare Solutions as his first entrepreneurial effort. Dr. Wani founded BioCentra LLC in 2008 wherein he directed his efforts exclusively towards research in peptide-based vaccines, cancer biopharmaceuticals and the development of innovative molecular diagnostic technologies. Dr. Wani owns several US patents and is globally connected to key opinion leaders in the fields of cancer, infectious diseases and vaccine research. He currently serves as a board member of three companies, is also a consultant for several biotechnology, and drug manufacturing companies, Ministries of health and clinical research organizations in the US and overseas. He has a special interest in helping Islamic countries implement advances in groundbreaking biomedical research and acquiring modern technologies in biopharmaceutical and personalized medicine, with special focus on Cancer, metabolic disorders and Infectious Diseases. 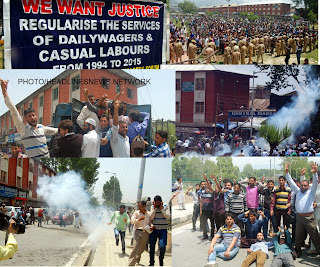 Police detain all J&K causal daily wagers during protest rally at Lal Chowk, Srinagar, Kashmir.